5. WILL I BE COMFORTABLE? 6. WILL I NEED NEW GEAR? 7. WHAT ARE THE ESSENTIAL ITEMS? 8. SO HOW MUCH SHOULD MY PACK REALLY WEIGH? 10. WHAT ARE THE BEST SEASONS FOR ULTRALIGHT BACKPACKING? 11. ARE SOME REGIONS BETTER THAN OTHERS FOR ULTRALIGHT BACKPACKING? 12. 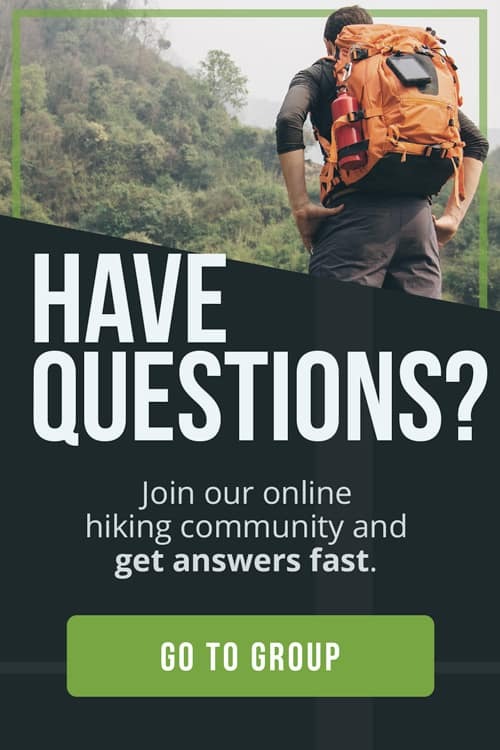 WHERE CAN I LEARN MORE ABOUT ULTRALIGHT BACKPACKING? Are you growing weary of all that weight on your back? Do you want to cut your backpacking gear to the bare minimum, and hike farther, faster and more in tune with all that beauty around you? Ultralight backpacking just might be your next obsession. But how do you know where to start? One of our big goals here at The Adventure Junkies is to help you lighten your burden. We know you’re wondering if you’re ready to leave most of your gear at home and take on the wild lands in a different way. While in the end, only you can make that call, we’ll answer your burning questions about ultralight backpacking and help you identify its risks, rewards and trade offs. Rather than fixate on a strict definition, it’s better to say that ultralight backpacking is a kind of hiking philosophy based on the idea that less is more. That being said, ultralight backpackers generally try to keep their Base Pack Weight (BPW) below 10 pounds. Base Pack Weight or BPW is the weight of your pack after you fill it with all of your gear, excluding water food and fuel. By going into the wilderness with fewer things, we are freer and more open to its wonders and truths. But there are also more mundane arguments for going ultralight. For one, it’s easier on your body than carrying a heavy conventional pack, allowing backpackers to stay on the trail even into old age and despite aching bones and joints. Also, you can hike farther and faster with less weight on your back; and when you stop for the night, setting up camp takes very little time, allowing more of it for exploring and relaxing. In general, lightening your pack makes backpacking trips easier and more likely to be repeated. It’s as safe as you make it. Ultralight backpacking requires a sharp mind, knowledge of the area, basic wilderness survival skills and careful planning. It’ll be as comfortable as you make it. Ultralight backpacking is all about compromise and trade off. A bedrock strategy is to trade camp comforts for trail comforts. You don’t have a roomy tent or a varied feast at camp but you’re not as worn out as the person who does and you’ve had a better day. Now, you’re relaxing in your hammock, watching the stars or wrapped in your light but warm-enough sleeping bag beneath a silnylon tarp, munching on a power bar. Probably. There’s a lot of lightweight and ultralight backpacking gear out there, and it all seems to get lighter every year. If you start obsessing about ounces, which ultralight backpackers always do, you’re eventually going to want the lightest gear you can find. But you don’t have to replace everything right away. Work on replacing the big, essential items first since those will likely be the heaviest. A backpack, some kind of shelter, a sleeping bag and a sleeping pad. If you use a hammock, you don’t need a sleeping pad. If you use a tarp, you don’t need a tent. If you use a bivy sack, you don’t need a tarp or a tent. Ultralight backpacks are typically about 45-55 liters and weigh no more than two pounds. In general, you should strive to keep the big items well below three pounds each. In ultralight backpacking, you need to pay a lot of attention to the exact weight of each item you take with you, but that doesn’t mean you should have too many hard and fast rules about your total trail weight. 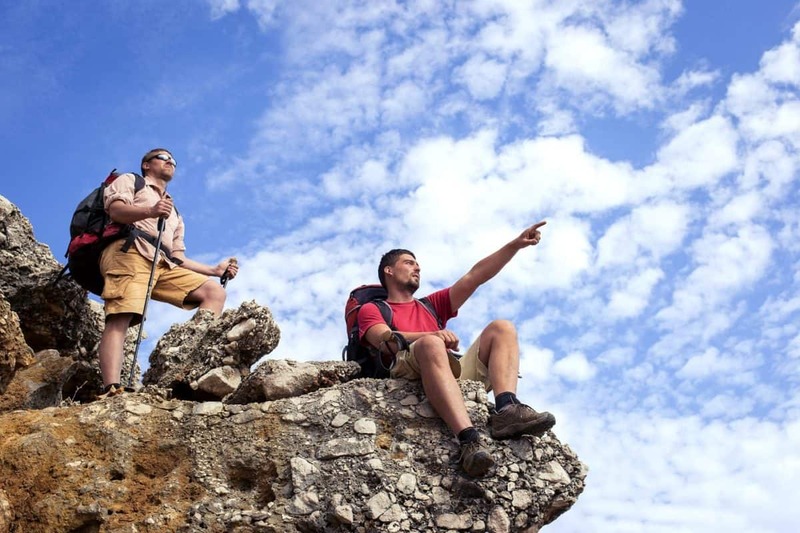 It all depends on where you are hiking and for how long. Depending on how long you plan to be out, you can keep your BPW relatively constant. For a three-day backpacking trip in spring, summer or fall in most areas of the country, you could easily keep your BPW at around 9 pounds. However, your total trail weight (your full pack plus food, water and fuel) could end up being three times that depending on where you are. For example, are you in an area where you need to carry a lot of water with you? A liter of water weighs a little over two pounds, and that adds up quickly. So you need to remain flexible about weight while at the same time paying it extra attention. 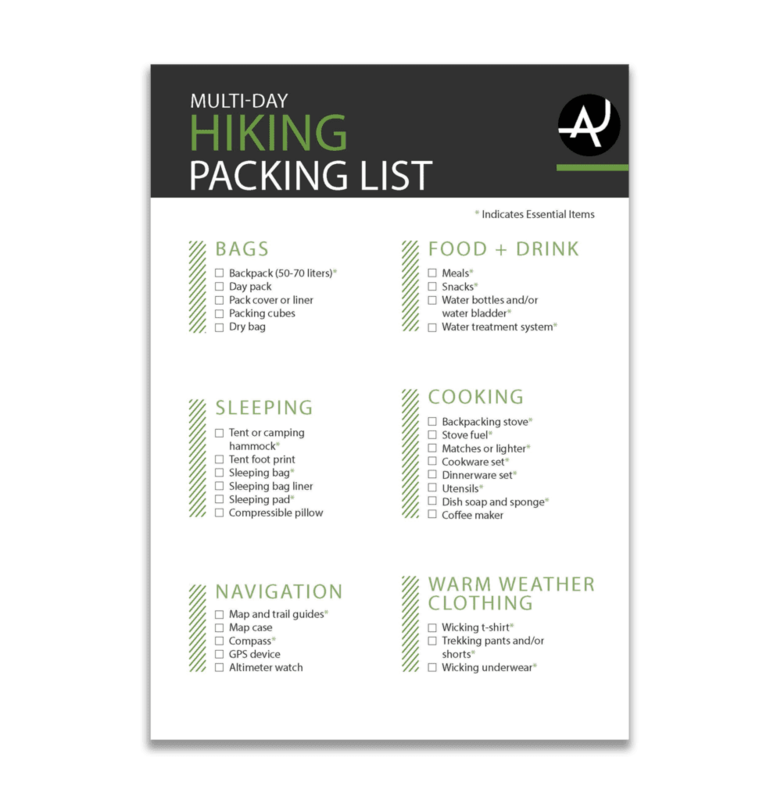 There are several websites and blogs dedicated to ultralight backpacking, and many of them have gear lists and advice. Also, talk to the employees of your local hiking and backpacking shop. Ultralight is all the rage these days, so you’re bound to find someone who’s into it. Some ultralight backpackers even make their own gear. 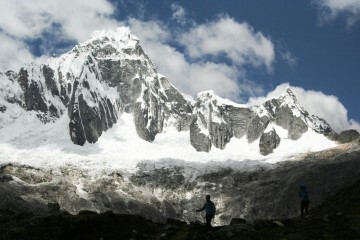 Here at The Adventure Junkies, we offer gear reviews and guides. Here are a few of our gear articles to get you started. It all depends on where you’re going, but ultralight backpacking trips generally work best in spring, summer and early fall. This is where planning becomes very important. You don’t want to take an ultralight trip during the rainy season unless you want to add the weight of rain gear and the discomfort or being wet and cold. 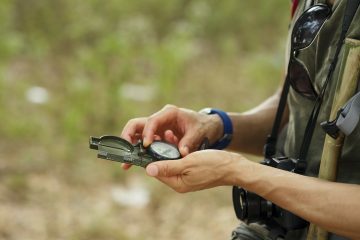 Knowledge of place is probably the best tool an ultralight backpacker has. If you know the place you’re hiking, know its flora and fauna, its seasons and temperament, you are more likely to backpack there comfortably. When you’re starting out, take your first several trips in places that you know well, places where you can get water and where you won’t get cold and wet without a tent. If you’re using a hammock, make sure you go somewhere with trees — it’s hard to hang a hammock in the desert. Make sure you know which pesky creatures you’re likely to encounter in camp and whether the trial is marked well. These and many other details unique to place will determine the ultimate weight on your back. Look for advice on ultralight blogs and websites, YouTube tutorials and online conversations. Also, check the local library for guidebooks on ultralight backpacking, and talk to as many folks as you can who have actually done it.